idiidit steering columns can be found on the finest custom hot rods and street machines in the world. Pit Stop USA is The Online High Performance Superstore! We feature Cruise Control at low everyday prices. Pit Stop USA is The Online High Performance Superstore! We feature ididit Installation Kits & Accessories at low everyday prices. Pit Stop USA has all of your Street Performance needs including Pontiac Firebird (1st Gen) Steering. Pit Stop USA has all of your Street Performance needs including Pontiac GTO Steering. Pit Stop USA is The Online High Performance Superstore! We feature Shift Indicators at low everyday prices. Check out the Recently Listed Steering Column Brackets. Pit Stop USA is The Online High Performance Superstore! 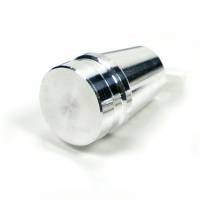 We feature Steering Column Knobs at low everyday prices. Check out the Recently Listed Steering Column Knobs and Levers. Pit Stop USA is The Online High Performance Superstore! We feature Steering Column Mount Covers at low everyday prices. Pit Stop USA is The Online High Performance Superstore! 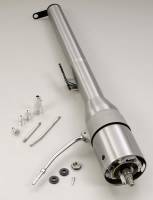 We feature Steering Column Shift Cables at low everyday prices. Pit Stop USA is The Online High Performance Superstore! We feature Steering Column Shift Indicator Housings at low everyday prices. Check out the Recently Listed Steering Columns and Components. Ken Callison is a guy who hit the streets cruisin' in suburban Detroit as soon as he could get a license in hand. His first rod was an ex-chicken coop, 1938 Chevy Coupe that he lovingly returned to life and which is still on the streets today. The woman he was to marry, Jane, grew up in a family without a car. By the time she got her license she was READY for her own brand of cruisin' in her '60 Falcon "Flower Wagon". This marriage was meant to be. After serving in the Navy as a machinist, Ken went to work for Ford Motor Company in 1970. Over the years he continued to hold an interest and show a talent for machining trick parts for his own and his friends' rod projects. Life was predictable until 1983 when a fellow Ypsilanti Area Street Rods member asked him to machine a billet aluminum steering column. Ken produced the first of many thousands of ididit columns shortly after and demand grew quickly. First one rodder wanted one, then a friend would see it and ask Ken to make one like it. By 1986 Ken and his son Scott were in a steadily growing business. One day a man approached Ken and Scott's display, picked up one of the machined aluminum parts and asked who had made it. Ken replied, "I did." The man picked up another part and asked the same question, to which again he replied, "I did." After several repetitions, the man said, "For the last time, who made these parts?" Ken, his patience running short, told him, "For the last time I DID! I made everything on this table." At that point the disbeliever looked Ken up and down and said, "No way. You're not smart enough to make stuff this nice." Ken had had enough. He reached across the table, grabbed the offender by his lapels and yelled in the guys face - "Look here! #$%!# I DID IT ! ! ! !." The company now had a name. Jane joined ididit in 1987 when the growth of the company demanded full time management and has held down the office since. Ken finally retired from Ford in January of 1994, forsaking the security of a job for a successful dream he and his talented family had carved for themselves. Today the family - Ken, Jane, Scott, Kim, and their staff continues to offer products found in some of the finest street rods and specialty cars in the world today. They still believe that if you can't proudly say "I DID IT !" the ididit component should not be shipped.